STOP PRESS: Sadly, the HANSEATIC Nature will not come to Cowes on April 17th. The new ship’s delivery from the shipyard was delayed and Hapag Lloyd have had to cancel the maiden voyage and subsequent cruise to Cowes. 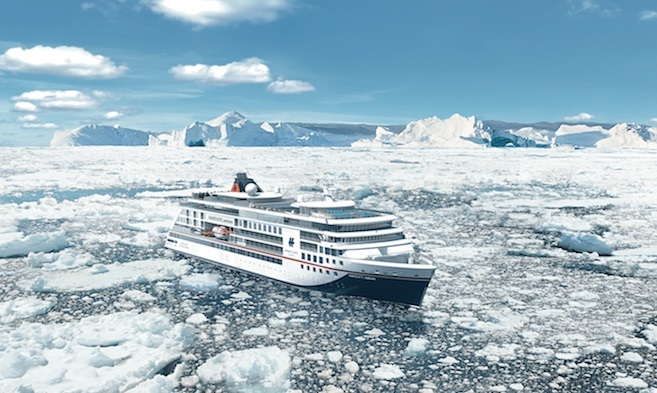 The first voyage of Hapag-Lloyd Cruises’ newly launched HANSEATIC Nature, should see the ship depart from her home port of Hamburg in Germany on 13th April 2019, cruise to London for an overnight stopover, and then visit Cowes on Wednesday, 17th April. Cowes Harbour Commission is greatly looking forward to welcoming HANSEATIC Nature on her inaugural visit to Cowes, and along with Visit Isle of Wight Travel Ambassadors and local volunteer guides will meet and greet all cruise passengers as they disembark onto The Parade.